By Chris Williams: WBA/WBO lightweight champion Juan Manuel Marquez (52-5-1, 38 KO’s) wants to fight Manny Pacquiao at a catchweight when the two fighters go at it later on this year in their proposed fight. Marquez, who is fighting at 135, isn’t as big as Pacquiao now that the Filipino has moved up in weight to the welterweight division. For the fight to be fair, Pacquiao would have to met Marquez at a catchweight that would give Marquez a slight weight allowance. In the past, Pacquiao has had catchweight handicaps that have been given to him to help him capture titles in the welterweight and junior middleweight divisions. Now it’s Pacquiao’s opportunity to return the favor to Marquez by giving him a weight allowance. I’d like to think that Marquez would be given the chance to fight Pacquiao at a catchweight for the WBO belt. However, I can’t see that happening. I see Marquez being given a take it or leave it offer where he has no choice but to fight Pacquiao at the full 147 pound weight for the fight without the benefit of a catchweight. 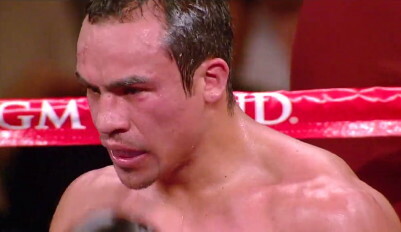 Marquez likely won’t have the pull to get Pacquiao and his team to budge from the 147 limit for this fight. As such, it’s going to be a fight that Pacquiao will have a big advantage because of the weight. It’s good to be the king. « What does that say about Mosley that Arum is already looking to set up Pacquiao’s next fight?